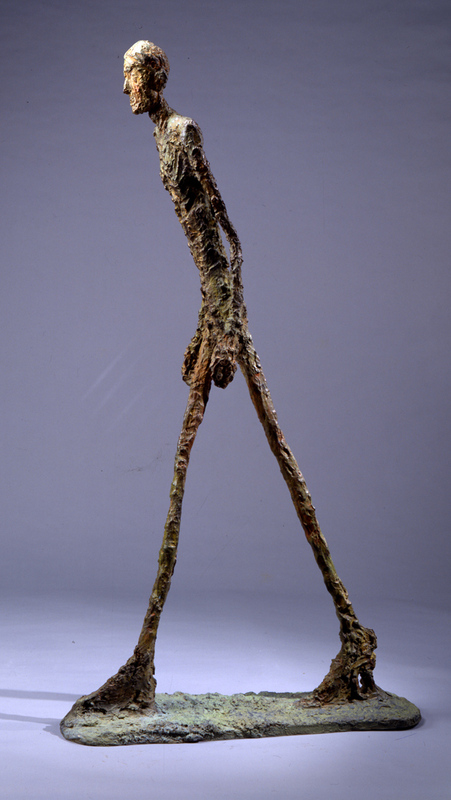 Alberto Giacometti is best known and admired for his tall, thin human figures in bronze. 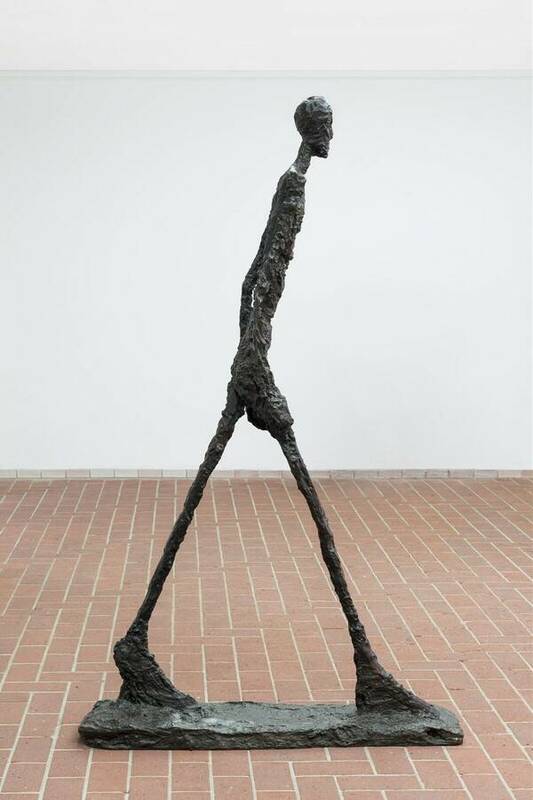 In this series of sculptures from the years 1945-1960, by his own account Giacometti is influenced by the impressions he takes from the people hurrying in the big city. 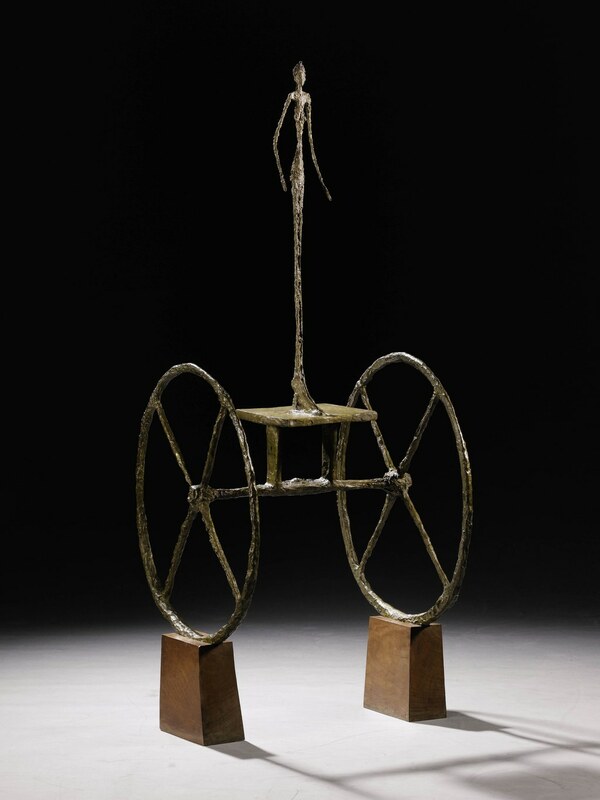 Giacometti’s figurative sculpture came to be a hugely influential model of how the human figure might return to art. His figures represented human beings alone in the world, turned in on themselves and failing to communicate with their fellows, despite their overwhelming desire to reach out. The relation between figure and space becomes the central issue of his artistic work. 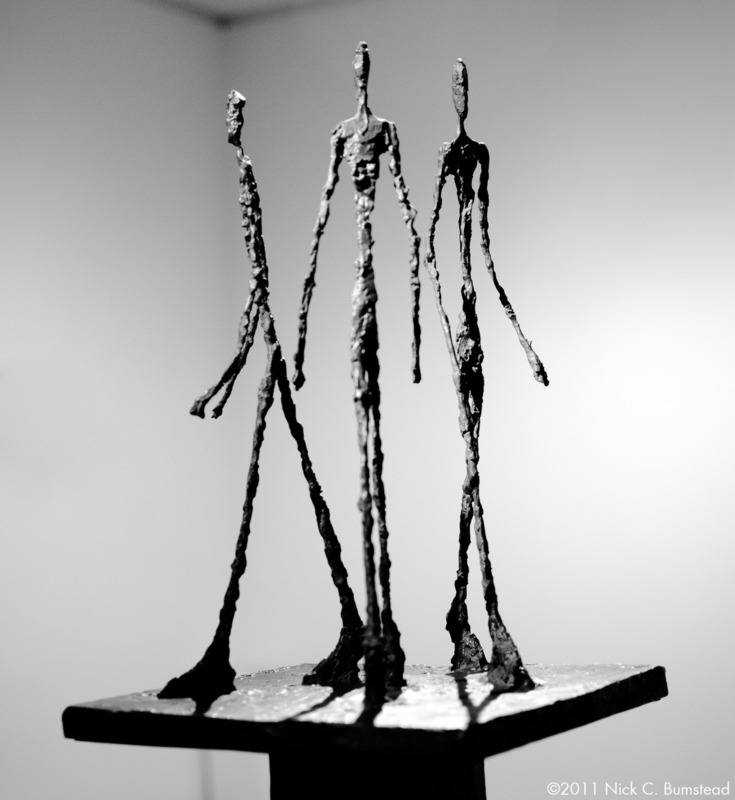 More of Alberto Giacometti‘s work can be found a various art galleries around the Internet including the Guggenheim and the Art Story. This reminds me of a famous India sculptor – Dhanraj Bhagat – who specialized in art that was a combination of realism and abstraction. Of course, Bhagat’s sculptures are different from Giacometti’s. But you should definitely check them out for their sheer brilliance. I am going to write that artist down in my to-do artist list! I love when someone gives me an artist idea. There are so many unique, different artists — I know so very few of them. Thank you!! You’re welcome 😄. I really enjoyed your posts. It’s the same at my end. I don’t know so many artists. But blogs like yours help us find them and their brilliant work. To be able to create that much expression and sentiment with a minimum of materials. Wow. I find myself thinking the same thing. 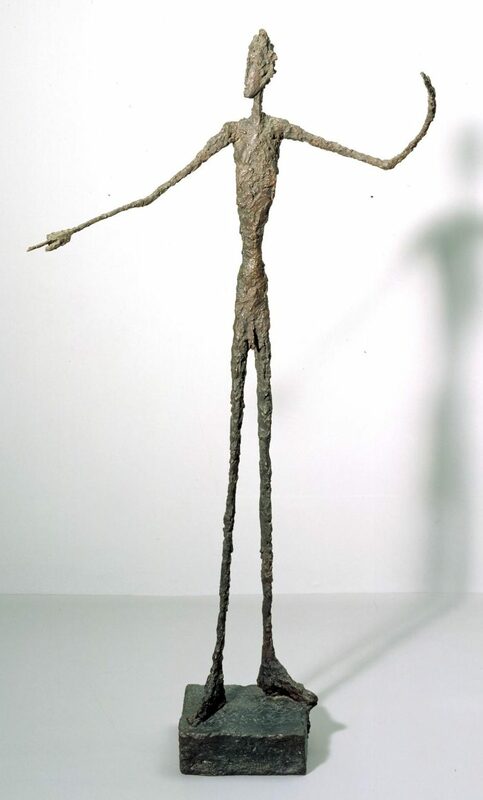 I came across a school teacher’s lesson plan on Giacometti at work, and was amazed at his skinny art. I love unusual art. Don’t you? 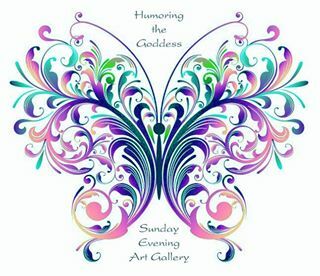 Hi Claudia, I must say I adore these pieces of sculpture, they’re so expressive in their simplicity, which I think is a true artistic talent, again thank you my dear friend. What’s even funnier is that I was going through some art lesson plans at work, and one of them was making a skinny sculpture like Alberto! I have seen these figures now and then, but I never knew they were by a well-known artist until recently! I love learning new artists. Did you really? Some of the masters make their craft look so easy. I thought about being VanGogh too, but that only lasted a few weeks. Ha!